Christmas time! 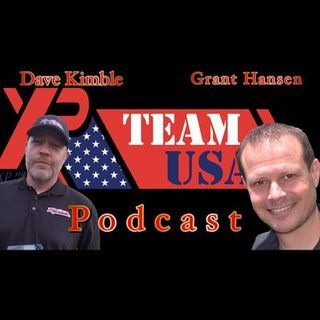 On this show we interview our XP Team USA Field Rep from Mississippi, Trent Butler and talk to him about his finds and hunting for civil war relics. We also talk to Todd Roy a metal detectorist and comedian from Beverly hills California. We also have our contest for an Mi-6 pin pointer donated by David Finley with Texhoma Metal Detectors. All you have to do for a chance to win is listen to Grant Hansens XPress News and guess which story is real or fake. Comment on the podcast on ... See More what your guess is. We will enter all guesses in the drawing and announce the winner on our next show. Good Luck! I'm going with the first story. Great show guys. Keep up the good work. I also think the Spanish Cob story is fake. The cob story must be fake. Don't think anyone's found a cob spill of any amount in SNJ. Plus, I checked the link and it didn't work. Great episode. Good information! Thanks for the mention. Always appreciated! Keep up the good work. Im signing off too everyone. Thanks for listening! that's for your guess... you are now entered! Keep on listening and don't forget to leave a comment with a guess to win!